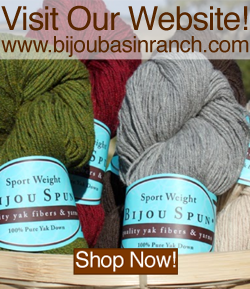 Bijou Basin Ranch: Next Stop: Texas! This coming weekend, we'll be heading to the Dallas-Fort Worth Fiber Fest for the first time ever! We've heard such great things about this show, so we're quite excited to join the great list of local & regional vendors, plus there will be informative workshops featuring both regional and nationally-known instructors such as Stephanie Pearl-McPhee and Abby Franquemont. We couldn't be more pleased to join in the fun! Even if you can't make it to the DFW Fiber Fest this weekend, you can follow all of the fun as we Instagram the whole trip down to Texas and back - click here to follow us on Instagram! 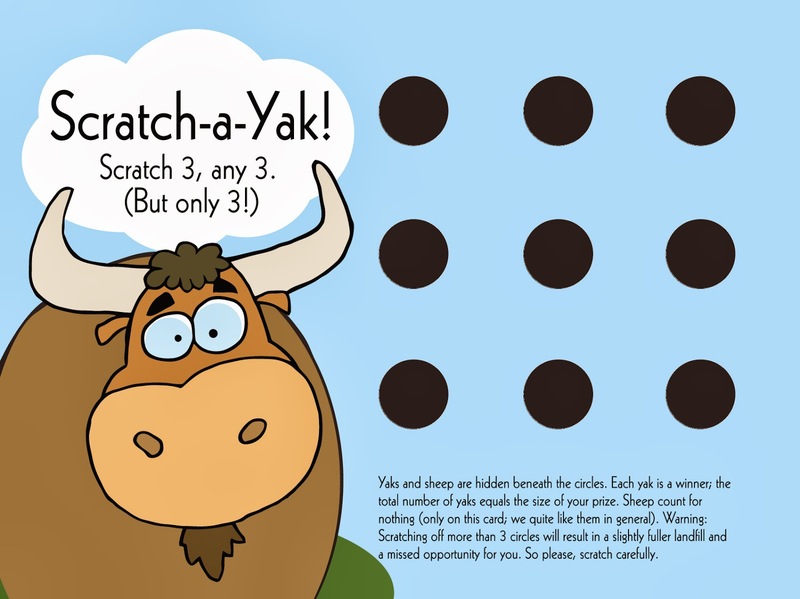 Be sure to stop by our booth to snag one of our brand-new Scratch-a-Yak cards which will give you the chance to win great prizes such as yarn discounts of up to 45% off your purchase! We'll also have all of your favorite luxury yarns and fibers, including our brand-new Outlandish color collection in our Himalayan Trail and Lhasa Wilderness bases. You'll also want to check our website for valuable coupons good towards your show purchase; we'll also be offering a discount when you shop our site while we're away at the show! All purchases (both online and at the show) will also receive our world-famous BBR Euro stickers, which you can use to earn discounts and free shipping on future purchases (click here for more info!). Speaking of our BBR Euro stickers, we've received some fun entries for our sticker game via email; we hope this inspires you to post your own photos on our Facebook page or here in our Ravelry group! Remember, this is a fun and easy way to earn discounts and free shipping on your next BBR purchase, what have you got to lose? Finally, we have an update on the upcoming Seamless Lace Stocking KAL which starts March 31: Although kits have already sold out in the Interweave store, you can always purchase the book and knit with any color of Tibetan Dream sock yarn from our site (you’ll need two skeins to make the pair)! The KAL takes place here on the Craft U website and includes a comprehensive course led by the designer, Faina Goberstein. If you are new to knitting socks, this is the perfect way to dip your toes in the sock-knitting waters! Click here to sign up now - space is limited! 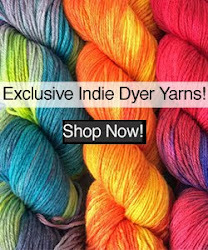 We would also love to see your KAL progress here in our Ravelry group.